When was the last time you raised your expectations—not of someone else but of yourself? If you can’t remember, or you didn’t do so recently, then it’s time to expect something more of yourself right now. Why? Because if you set high expectations for yourself, you’ll rise up to meet them. If you set low expectations, you’ll meet those instead. Sometimes I wonder why I am not doing or being more when I know I can. The answer is always the same: I don’t expect more of myself. Or I feel too comfortable or scared to go for it and achieve big goals. And so, I meet my low expectations instead of my high ones. I don’t need my parents to tell me I’ve disappointed them; I deeply feel the disappointment in myself. Can you relate? Do you expect too little of yourself, too? If you set high expectations for yourself, you’ll rise up to meet them. Studies show that parents who have high expectations for their children raise children who are more likely to succeed. The same can be said of you and me—if we have high expectations for ourselves, we are more likely to rise to them. After all, we do have to parent ourselves, right? Some of us may no longer have living parents. Even if we do, we have to learn to motivate ourselves to achieve what we expect of ourselves. But most of us have low expectations of ourselves. Maybe you’ve lowered yours to avoid disappointment or a sense of failure when you don’t meet your goals. Perhaps you feel you aren’t worthy of big aspirations, so you shrink them to a size you believe you deserve. Or you think you’ll be judged for your success or disliked for rising above someone else’s level of success. But as an adult, you must act as parents to ourselves. 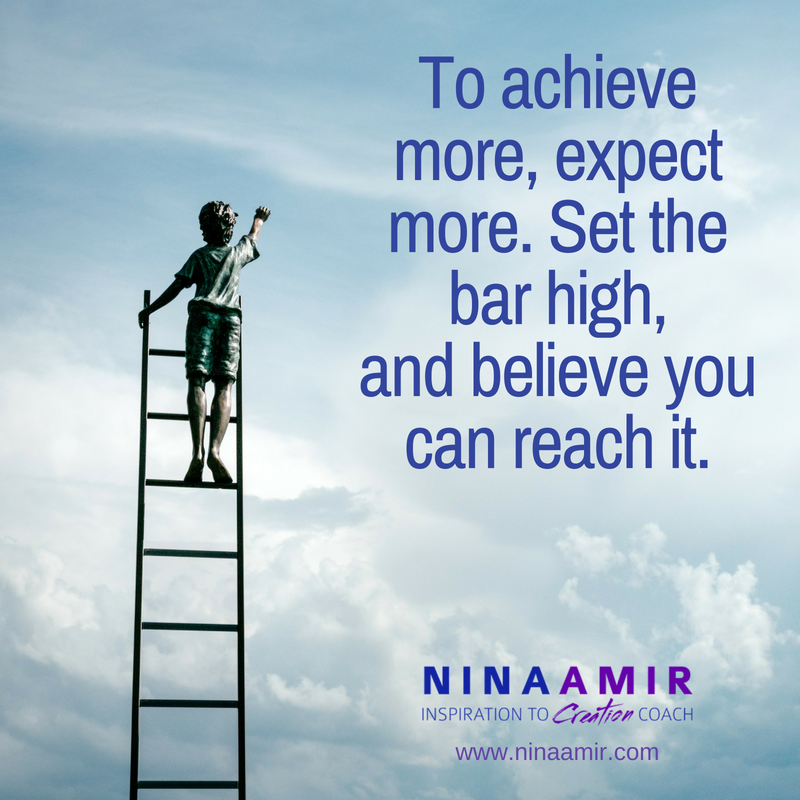 It’s time you set a high success bar for yourself and expected yourself to reach it. If you don’t, no one else will. And you will continue to achieve only mediocre results. Look at your life. In what areas do you know you could be more successful? Where could you step into your best self? What would you have to do or who would you have to become to realize your dreams? For each area, set new—higher—expectations for yourself. Don’t settle for the loveless relationship when it makes you unhappy. Expect a passionate, intimate, fulfilling relationship—and then do whatever is necessary to create that. Don’t be okay with your position at work when you know you are capable of more responsibility—and not having it makes you feel unacknowledged. Expect yourself to excel in ways that get you noticed—and promoted. Don’t accept your current health when you know you could feel more energetic and happy with your body. Expect yourself to eat a healthy diet and to exercise several times per week consistently—and to have the health and body that allow you to live the active lifestyle you enjoy. 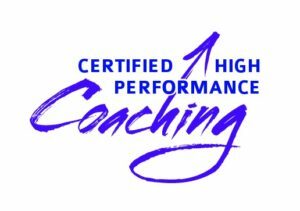 It’s time you set a high success bar for yourself and expected yourself to reach it. When you set expectations for yourself, you will rise to them. So don’t wait. Set new—higher expectations for yourself. Recently, I set an expectation for myself related to writing. 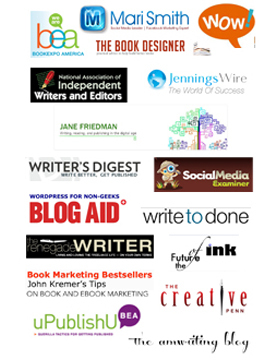 I decided I had to make writing my #1 priority every day and do it first so I would produce more books per year. That meant daily writing on a book project–not a blog or newsletter. It’s taken some work, but most days I do, indeed, sit down and my desk and begin to work on a book project each morning. I also set an expectation for myself to get more sleep but wake up earlier–to go to bed no later than 11 and be awake by 7 a.m. if not earlier. I’ve succeeded in doing so most mornings for the last two months. Of course, my expectations require me to create new habits. That can take time, but the point is this: I’ve risen to my expectations. What about you? What expectations will you have for yourself going forward? Be kind and loving no matter the situation or how I have been treated. Treat my body with love and kindness by eating a healthy diet and exercising five times per week. Do my job with joy, enthusiasm, and energy. Bring the joy every moment of every day. – Be of service in any way possible. Then…don’t let yourself down. Rise up to your expectations. Meeting your expectations for yourself is as simple as believing in your ability. Meeting your expectations for yourself is as simple as believing in your ability to rise to those expectations. An expectation is a firm belief that something will happen or be the case in the future. It’s a belief that someone should or will achieve something. In this case, that someone is you. Start believing in yourself again—in your ability to do whatever you set your mind to doing. Then set that bar as high as you can, believe you will reach it, and then set out to do just that. Do you set your expectations for yourself too low? Tell me in a comment below. Photo courtesy of Samuel Zeller on Unsplash.